Do you want to ensure that your event is amazing? Check Your Event Date Now! 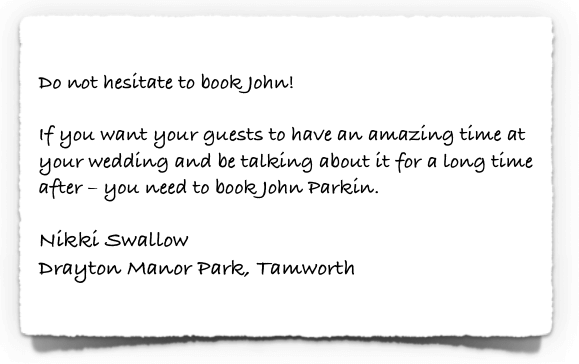 ✓ Ensure that your guests talk about your event for years to come! This Could be Your Event! My name is John Parkin and I’m a professional Magician and Mind Reader - a member of the world famous Magic Circle and I specialise in helping you to create the perfect entertainment for your event. I will draw upon over 12 years of providing professional magic entertainment and work with you to create your perfect bespoke package of magical entertainment. ✓ Allow you to relax knowing that your guests are having a great time and are in safe hands! "But Do I Really Need a Professional Magician?" I understand that it is not an easy task to juggle an event planning budget - I went through this just over a year ago for a party I was hosting and I ended up creating a lot of spreadsheets and lists! 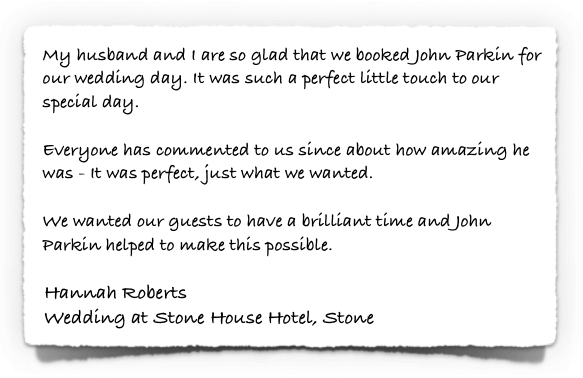 One thing that I was certain of was that I wanted to take steps to ensure that our guests had a memorable time. We recognised the risk that our guests may not mix, or that friends and family might end up sitting around for a long period of time… waiting for the next part of the day to start. I'm sure that you have both experienced this yourselves at other events and weddings (just as we had) - where the day often felt a little flat. So you can be safe in the knowledge that your event entertainment will be first class and professional. I am so confident that you and your family and friends will love my service that I give you a 100% money back guarantee. If for any reason, you are unhappy with my magic entertainment services, just let me know and I will happily return every penny of your booking fee - my entertainment will be my gift to you. That is how confident I am about the quality of my services - a promise that not many other performers are willing to make. Check to see if your date is free and to start your no-risk, no-obligation consultation process to develop your bespoke entertainment package.